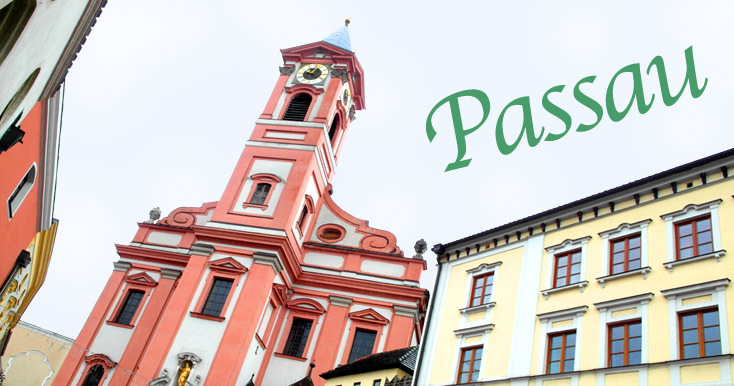 Today we are in Passau – it’s a very watery place sitting on a peninsular at the junction of the Danube, Inn and Ilz rivers. Despite being grey and almost snowing (it is the end of November) a combination of elegant rococo mansions painted in warm pinks, greens, yellows and creams and bright cheery shops, traditionally decorated for Christmas make Passau feel welcoming and besides there’s plenty to see inside, St Stephan’s Cathedral and the Bishop’s Palace for a start. The pipe organ in the cathedral, Europe’s largest was every bit as splendid as I had imagined it might be; a pity though that we were too late in the year to hear the daily recital, I think a recording listened to in lesser surroundings won’t be quite the same experience. Rather liked the Bishop’s Palace too and the thought of all the people seeking an audience wiling away the long wait by admiring the stucco decor. Back aboard another beautifully presented dinner in convivial company. One of the aspects of this cruise I’m really enjoying is meeting people and the interesting, varied conversations that result over dinner.